A sizeable fleet of twenty boats arrived on the start line this morning ready and eager for an enjoyable day of racing having had two days already blown out by the extreme weather conditions. Race Officers Clem and Wendy McElligott in Adrielle set up a line using the Cage as the pin end and as it was a mainly northerly breeze Clem had mentioned to your scribe beforehand that racing would be mainly up and down the harbour. Wendy has taken on the onerous task of chairing a results committee and as she told me herself she enjoys this type of activity so the Keelboat Committee are indeed fortunate to have this team on board and no doubt the hard worked Rear Admiral Keelboats, Kieran O’Connell, will be very glad to have their experience and assistance in this very important area. 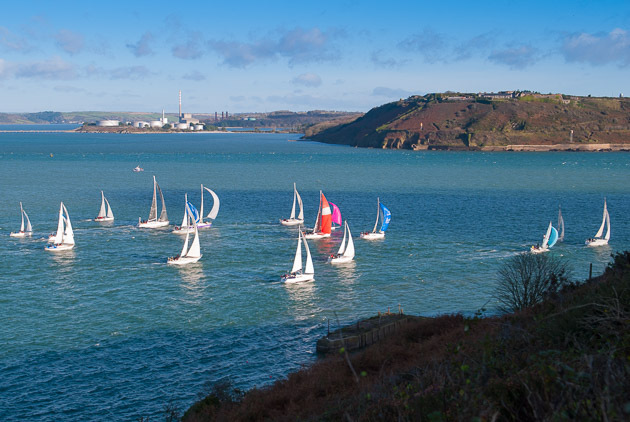 The fleet set of with a reaching start, some heading inshore to avoid the flood tide, while others did the opposite and stayed out in the tide hoisting spinnakers immediately before heading out the harbour for the No. 3 buoy. They then had a beat back in the harbour up to Cobh for another reach and run and finishing with a run out to No. 5 and a reach in to finish off the Cage. Beautiful though the weather looked it was still extremely cold as had been forecast and the sailors were glad to reach the warmth of the clubhouse. Another picture from a pleasurable afternoon. Photo Robert Bateman. On Monday night last a Members Forum had been held and the first bit of good news the Admiral had to impart was that the EPA had approved the plan for dredging of the marina area. This in fact has started at the Western end. The Executive Officers each spoke in their turn and highlighted what had been accomplished during the past year and the early plans for our tri centenary year celebrations in 2020. The forum proper was then opened to the floor and evoked some lively discussion from the small number in attendance. This was following on from a Junior Laying Up Supper on Friday night that had packed out the house. This fact led to discussion on the lack of young people participating in club activities and one statement was heard to come from the rear that each person in this room was old!!!. This was disputed in particular by some of the younger males in the attendance who informed the comment maker they were in fact younger than him and one attractive young bride of some few weeks stood up and performed a pirouette to show her agility. There was no mention of the fact that the rest of us who know we are ‘old’ still manage to turn out in all weathers to show our interest in our club and despite the fact there was a crucial soccer match on that evening the club took preference with us. 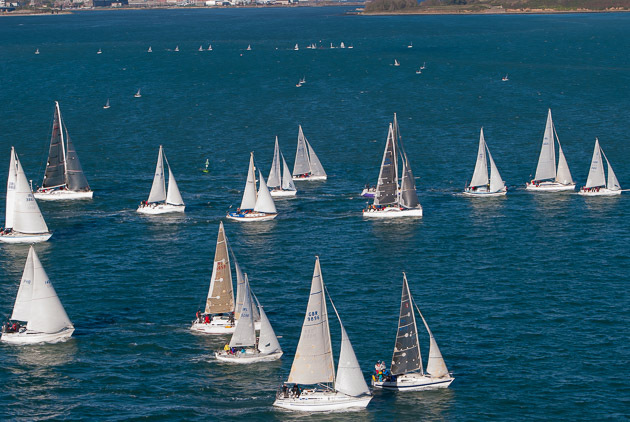 Ah well, we all have our views, and one thing for sure is that each member of the club both young and old will be putting their best foot forward to have an almighty event in 2020 that the Royal Cork Yacht Club will long be remembered for.